The reason I made this aircraft model is an airliner commissioned me to make a paper model of one of their fleet which use Airbus A320 and we have made agreement to share the master template including their aircraft model kit. I can't reveal what airline in the moment but the model is still on building progress. In the meantime I recolor the master template with Garuda Indonesia - Citilink livery. This aircraft is one of six planes leased by Garuda Indonesia - Citilink from GE Capital Aviation Services. Garuda lease the plane while waiting for their 25 new Airbus A320 that still in production. I use 1:100 scale the model plane will be about 35.6 cm in length, I also add a display stand. United Airlines Flight 93 was crashed in 11 September 2001 in Shanksville in Stonycreek Township in Somerset County, Pennsylvania, before it was hijacked by Al Qaeda terrorists. 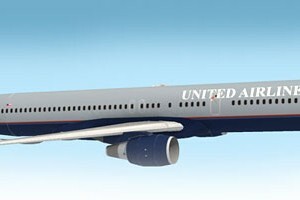 This Boeing 757-222 was failed to reach terrorist intended target because its passenger fighting back and attempting to regain control of that hijacked aircraft. The temporary memorial now stood in the area where this plane crashed. This aircraft paper model kit is intended to remember that event and this is the second paper model kit for 9/11 Memorial. It supposed to be released yesterday but I was busy solving Paper Replika server problem. This kit has the same scale as Airbus on airliners category which is 1/100 and also comes with landing gears and display stand. 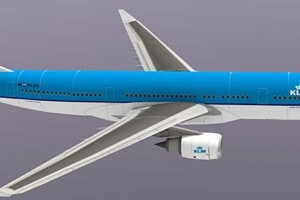 To fill the gap of time between next model release I recolor this airbus A330-200 airliner series to have a KLM Royal Dutch Airlines livery. As usual I re-use Garuda instructions combine with TAM airlines instructions, because KLM's engine is the same with TAM's. Koninklijke Luchtvaart Maatschappij N.V., doing business as KLM Royal Dutch Airlines (Dutch: Koninklijke Luchtvaart Maatschappi, literally "Royal Aviation Company"; usual English translation: Royal Dutch Airlines), is the national airline of the Netherlands and is part of Air France-KLM. KLM's headquarters are in Amstelveen near its hub at Amsterdam Airport Schiphol. KLM operates worldwide scheduled passenger and cargo services to more than 90 destinations. It is the oldest airline in the world still operating under its original name. As of 31 March 2010, it has 31,787 employees. Almost two years Flight 447 of Air France still missing somewhere in the southern Pacific Ocean. Search teams have located what they believe to be the actual crash site. Investigators have not yet determined what caused the airliner which was en route to Paris from Rio de Janeiro to crash. This papercraft is use the same livery as the aircraft involve in the accident, the same registration number F-GZCP and still using the old Air France logo. 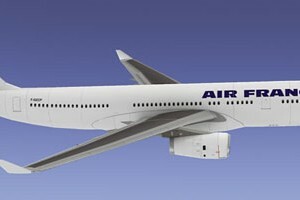 Air France logo was change in 2009. My condolences to all the people who lost family and friends on flight 447. When I was thinking to release a new airlines scale model, a message poped up on my yahoo messenger, someone request a brazilian airlines. 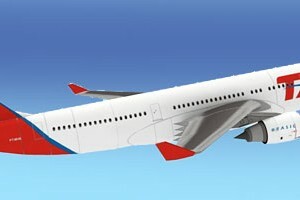 Then I search on google and found this TAM Airlines using A330-200. On the final step in recolor its livery I found out that the engines are not the same from my template. I add up new engine and made a separate instruction. As previous A330 model, TAM airlines also using Garuda Indonesia instructions except for the engine.